On Feb. 15 from 7-9pm, the CILNCF will be hosting the first installment of the Friday Night Fun Night series. 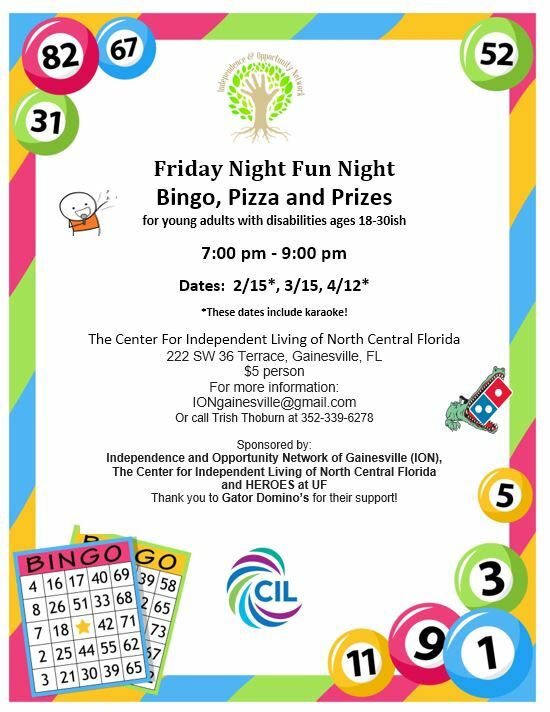 Bingo, pizza, prizes and even karaoke will abound at this fun event for young adults with disabilities 18-30ish. Please see the flyer below for further information. This entry was posted in Events, News by CIL Marketing. Bookmark the permalink.